Mother's Day is coming once again and do you already have something to give for your mom? A kiss, hug and love will do but giving something even if it is not expensive will make it more precious. There are many mother's day gift ideas this year that you can opt to choose. A spa coupon, a designer bag, scented candles and more can be an option. 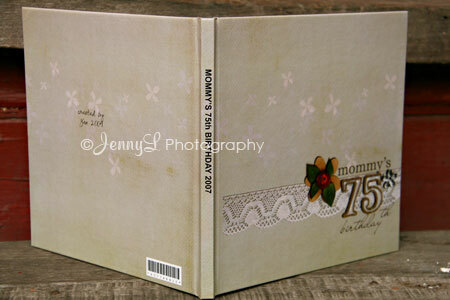 If you know how to digi-scrap like I do, you can make her a photobook like this that I've printed over at ARTSCOW. Be creative and I know you're mom will appreciate your thought and will cherish anything that you will give her. 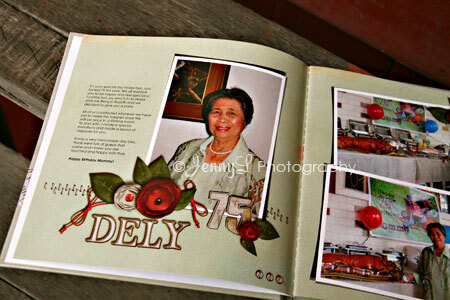 Here's a photobook that I made for my mom, though not for Mother's Day but she loved it. hi there! i just wanted to say ALL of your books are amazing! would you consider sharing your book in the artscow gallery so that i might be able to see how you did your layouts? you've inspired me to make my own photobooks, but my inspiration only goes so far.. i don't know the first thing about how to do it! i just love, love, love your work, and would like to see more! btw, i already picked up your FREE kit through artscow. hope you win! Hi Ketsy, thank you for your kind words, I appreciate it. sorry I don't think I can share some of my personal photobooks at artscow for privacy reasons. Hope you understand that. I have a new kit coming up for free at artscow so watch out for it.